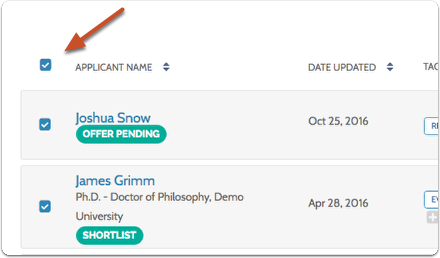 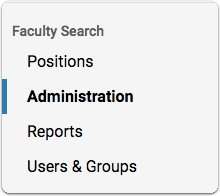 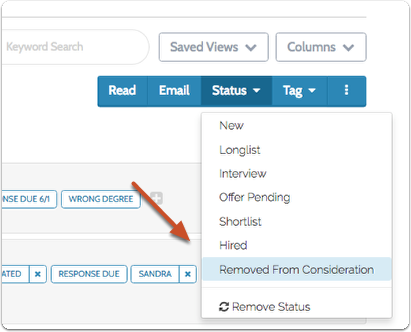 Committee Managers or Administrators can assign or change an application status in Interfolio Faculty Search from the Applications page or the Applicant Profile page. 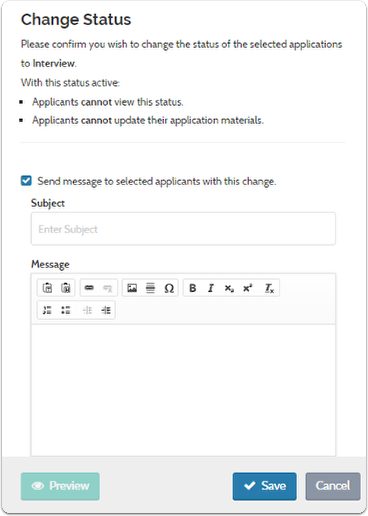 In the "Change Status" window you can compose and send an email to the selected applicants about the change. 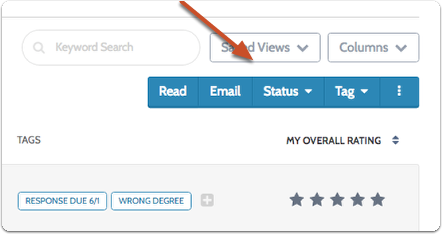 Click the change button near the current status to update the Position's status.